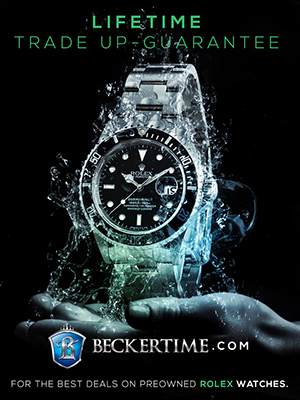 In this podcast, you will hear from John Goldberger who is one of the most knowledgeable Rolex experts on earth and happens to own one of the top Rolex collections in the world!!! John is also close friends with the top 5 other Rolex collectors in the world and they allowed him to share their beautiful and extremely rare Rolex watches in his new book named 100 Superlative Rolex Watches. 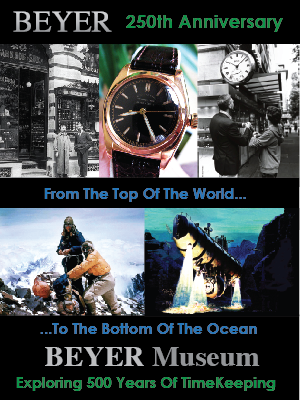 Many of these Rolex watches have never been seen by the public and the photography in John's book is amazing!!! One of the most exciting things about this podcast is we discuss many, many rare and fascinating Rolex watches in detail and John agreed to share high-resolution photos from his book of ALL the watches we discussed. John's book contains 700 images and in the article below you will see more than 10% of the images from his Rolex book–which is a masterpiece in and of itself. There are three great ways to listen to the podcast. The first way is you can click on the play button below and you can follow along with all the images we discuss in the book which are pictured below in the order they appear in the book. I have included the page numbers in the book order to make this easy for you to follow along. To listen to the John Goldberger Podcast in another browser window without the story, click here. The Second way to enjoy the podcast if you own the book is you can follow along with the photos in the book. The third way to enjoy the podcast is in iTunes. You can download the enhanced podcast version of the interview from iTunes which will allow you see all the watches we discuss as we discuss them. This will work in iTunes for Mac or PC and you can also download the enhanced podcast from iTunes onto your iPod or iPhone and watch the amazing slideshow on the screen. To listen to or download the podcast from iTunes click on the Subscribe with iTunes button below. 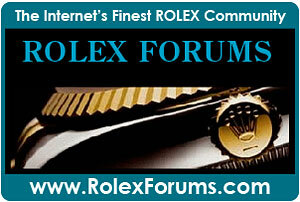 Subscribing to Jake's Rolex Watch Blog Podcast in iTunes is free for everybody to enjoy, and all my podcasts and articles are commercial free, but please understand that bringing you this super-detailed podcast and article is extremely time consuming, so please help support the future of Jake's Rolex Watch Blog and Podcast by making a donation via Paypal. You can do so by clicking on the Donate button located approximately ten inches down from the top on the right column of this page. 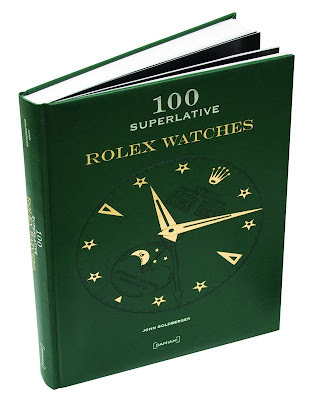 The Rolex brand was formally founded in 1908 and is currently celebrating its 100 year centennial, thus John decided to name his book 100 Superlative Rolex Watches. To put 100 years in perspective, in 1908 General Motors was founded, Henry Ford produced the first Model-T, the Grand Canyon National Monument was designated, Harvard Business School was founded, A long-distance radio message was sent from the Eiffel Tower for the first time, the boy scout movement began, Mother's day was observed for the first time as a national holiday, and the first passenger airplane flew in 1908. 100 years is a long time. 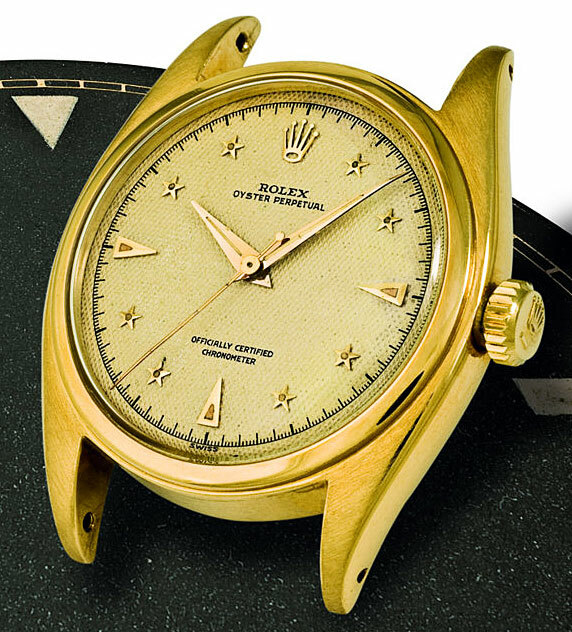 John Goldberger's 100 Superlative Rolex Watches is an absolute masterpiece and forever changes the world of Rolex Collecting. 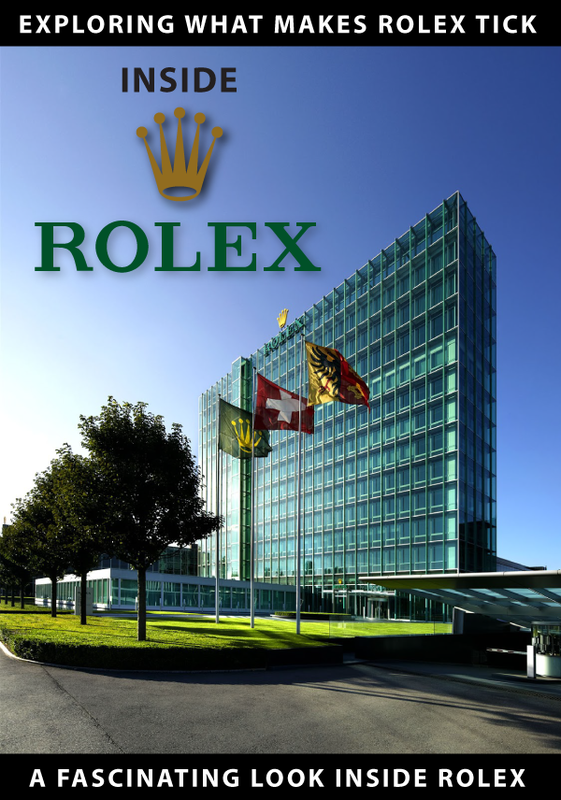 John is not only an expert but a true Rolex connoisseur with one of the finest watch collections on earth. The book itself is unusual for a coffee-table sized book in the sense it has a leather-like cover which makes the book extremely comfortable to handle. Since there is no paper cover the book does not slip and you don't have to worry about damaging the slip cover. 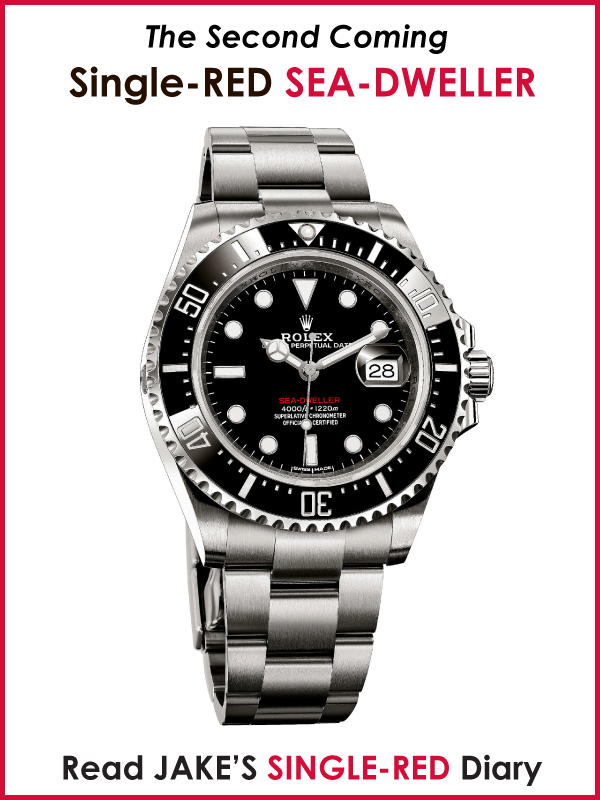 The 100 Superlative Rolex watches showcased in the book have a current market value of approximately $20 Million in U.S. currency. 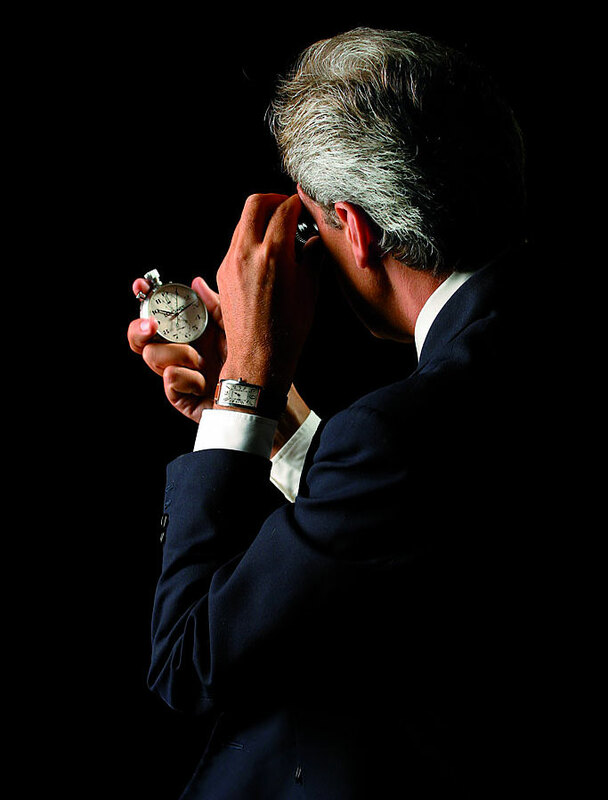 John Goldberger is pictured below and is one of the greatest watch connoisseur's on earth. He has a collection of Patek Phillipe, Rolex, Cartier, Omega and Longines watches. 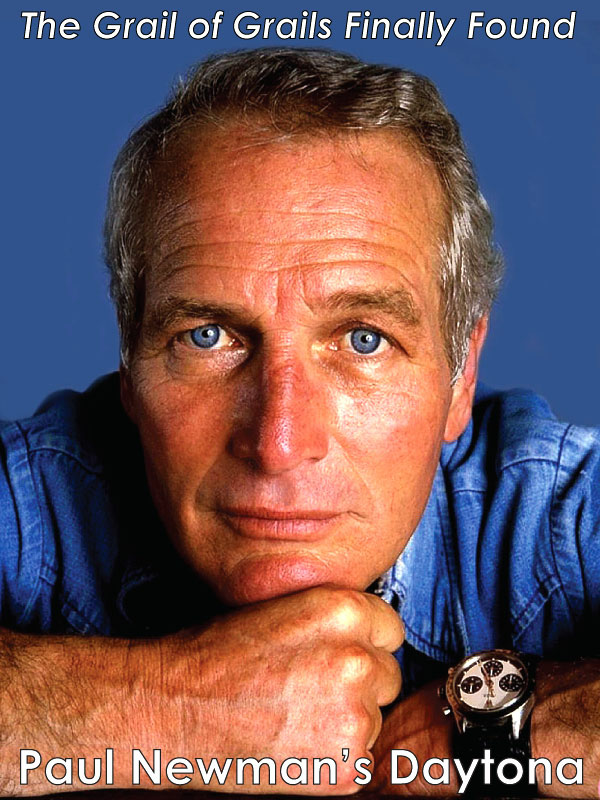 He already authored two books on Omega and one on Longines–both of which are available for purchase along with his new Rolex book at the end of this article. John was born and resides in Italy today. He is 50 years old and started collecting vintage watches 30 years ago when he was 20 years old. 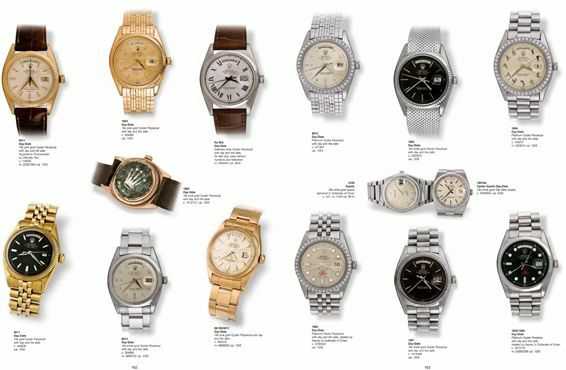 It appears as if the Italian marketplace was the first to really start collecting vintage Rolex watches, and drove the significant price increases starting in the mid 1980s. In my personal opinion, John Goldberger is a brilliant man with an amazing sense of design and superb taste. The layout of his book is excellent and Leo (The Idle Swede) said it is already his favorite Rolex book in his collection. This is an extreme compliment coming from Leo because Leo has a very constructively critical eye, is extremely picky and does not give out compliments easily. I received an advanced review copy of the book and I mentioned to Leo how great it was. Leo insisted I send him a copy because I told him how great it was. Leo is my right hand man with the blog and has been an invaluable source of wisdom and insight, as well as a superb pal. Upon receiving a preview copy of 100 Superlative Rolex Watches Leo wrote me an email that said "You were right, this book is awesome!!!" I called Leo on the phone and asked him how he would rate it on a scale from 1 to 10 and Leo enthusiastically responded "10!!!!" Everybody I have shown the book to so far freaks out on how beautiful and well designed the book is!!! There is something to be said about high-end Italian goods, culture, and people. There is an essence that Italian's and Italian goods capture at the high-end that is incomparable. Think about it: Ferrari, Lamborghini, Luciano Pavarotti, Michaelangelo, Botticelli, Leonardo da Vinci, Galileo, Persol Sunglasses, Sophia Loren, Frank Sinatra, Dean Martin, Martin Scorsese, Francis Ford Coppola, Federico Fellini, Bernardo Bertolucci, Gucci, Prada, Ferragamo–the list goes on and on and on. Whatever that passionate essence is, this book captures it. Don't let me get started on Italian food!!! 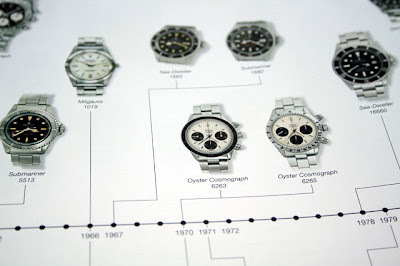 The book begins with a great four page Rolex watch chronology from 1905 to date and it makes it really easy to understand the evolution of the brand. 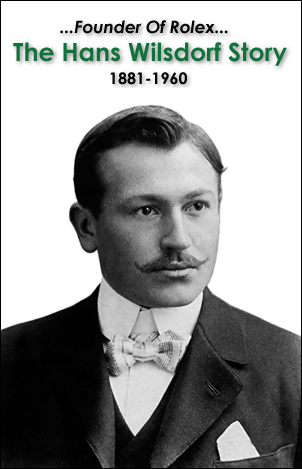 The chronology begins in 1905 because Hans Wilsdorf created his company named Wilsdorf & Davis in 1905 in London, England and brilliantly changed its name to Rolex in 1908. 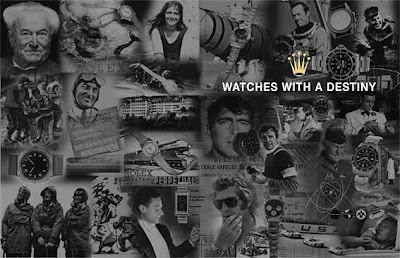 After the chronology there are two pages with many famous Rolex historical figures and John's superb slogan with the Rolex crown which reads "Watches With A Destiny." If you stop and think about it for a moment, this is a profoundly true statement. 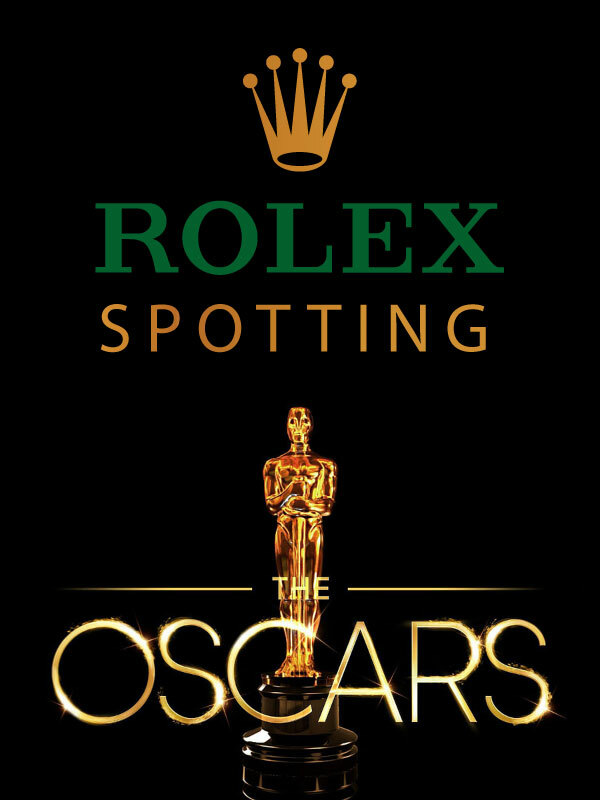 There really is something almost mystical about Rolex history and the people that have designed, manufactured, marketed and worn them. I realize mechanical devices are not supposed to have a spirit or soul but Rolex watches seem to posses qualities that go beyond the sum of their parts. 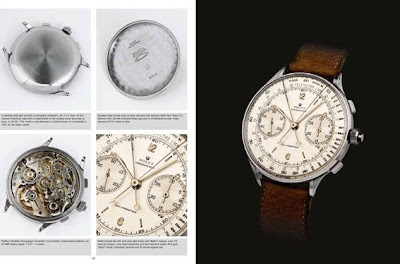 After the historical Rolex figure photos there is a well written four page Rolex history overview section by Giampiero Negretti. There are descriptions of the watches, but really the book is eye candy because it is just filled with awesome photos of the watches, and as cliche as it may sound, it remains true that a picture is worth a thousand words. 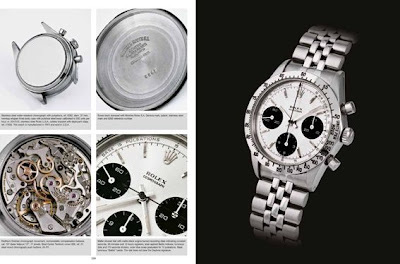 This book has a superb and consistent layout and there are a total of 700 images in the book and photos of approximately 280 different Rolex watches. 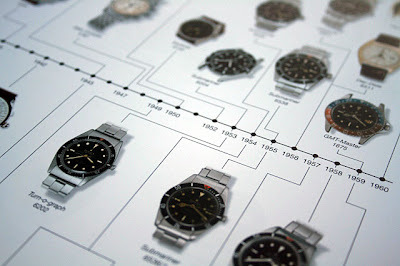 John had to choose 100 Rolex watches to showcase and the following four photos bellow illustrate how the 100 he chose are intelligently laid out. On the left side page for every showcase watch there are four smaller images that show detail and different perspectives. The right page always has a very large and detailed portrait of the watch. The four images on the left pages have all the historical data on the watch including the reference number, caliber number and year of manufacture. John Goldberger is a professional photographer and shot all the amazing quality photos in the book. Next week I will be adding photos of his portable and home studio so you can see how he captures these great shots. 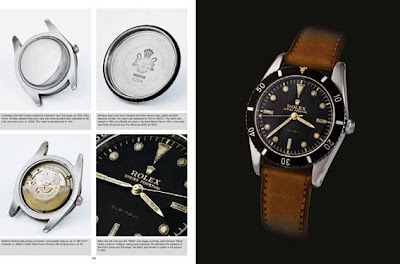 As I mentioned, John has photos of 180 other Rolex highly collectable Rolex watches that are not part of the 100 and he illustrates them as seen on the two pages below. 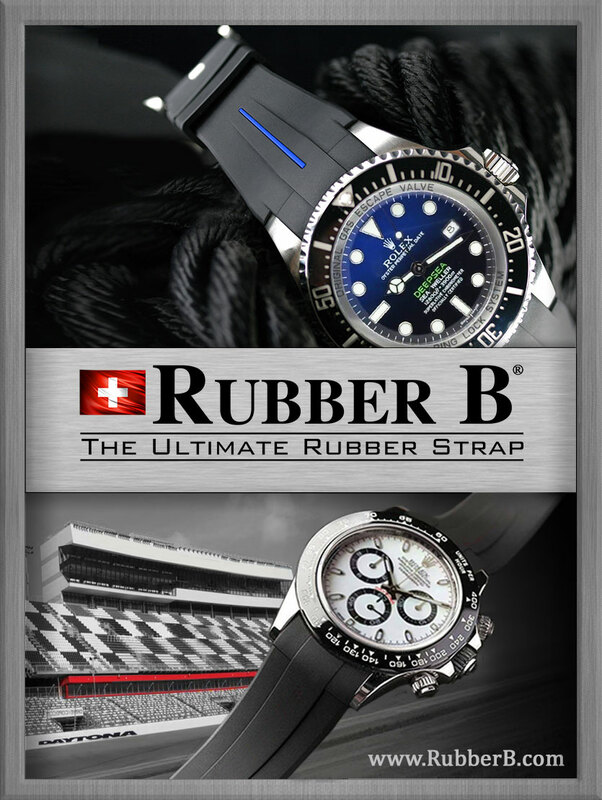 John Goldberger donates 100% of the profit he makes on the books to charity, which means he made the book to share these stunning Rolex watches with the collectable Rolex community out of the kindness of his heart. John and I completed an amazing podcast interview which you can listen to in your browser window or in iTunes for free. In our incredible interview we cover more than 70 watches and John agreed to allow me to share high-resolution photos of these stunning watches with you. For this, we all owe him a debt of gratitude. Speaking with John Goldberger is like like talking to an Encyclopedia as you will learn in the podcast. 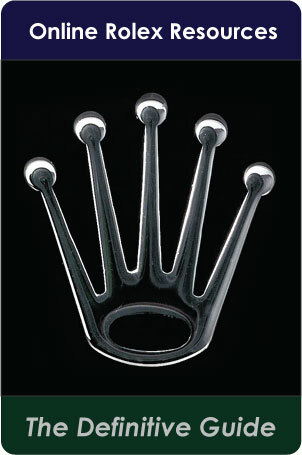 His depth and knowledge of not only Rolex, but all the major brands is intoxicatingly profound. All the images are copyrighted and appear courtesy of John Goldberger and are only for your viewing pleasure. You may not publish or disseminate the images without his express written permission. 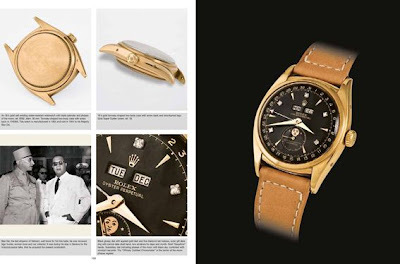 There are many beautiful Rolex watches in the book I did not have room to cover in this article including Rolex Prince watches. I can't highly enough recommend the book and these images give you an idea of what to expect. 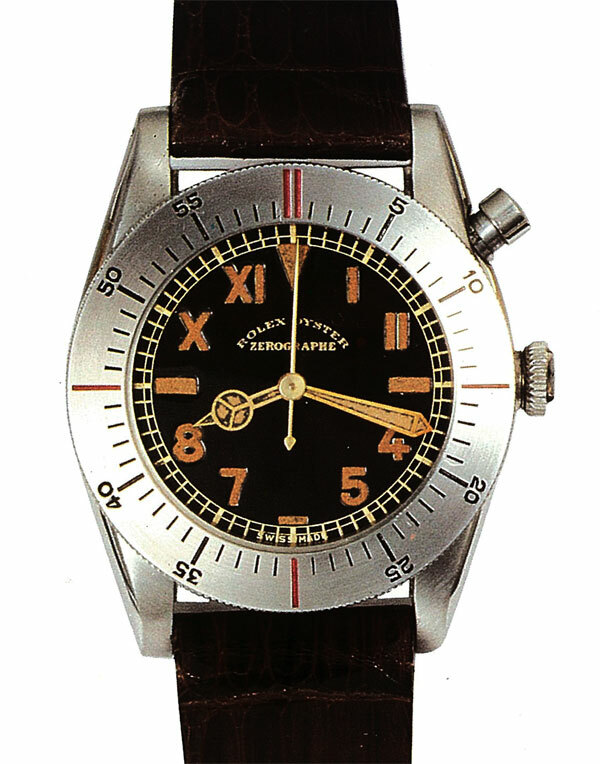 Despite the fact the watch above was made in 1942, it is remarkable how modern it looks. There are only 3 known examples of this watch in private collections. This watch was made around the same time as the Reference 6062 Star indices Moonphase watch. 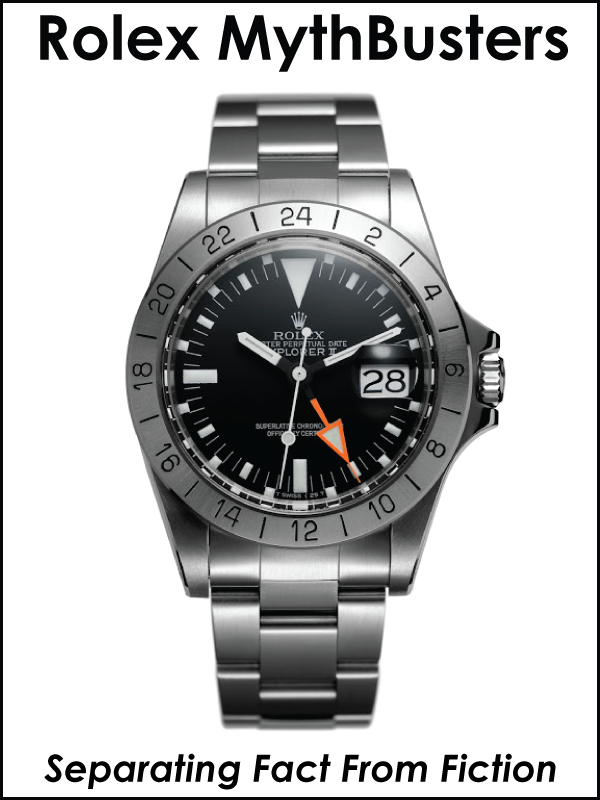 There is another version with a black dial which can be seen 7 watches down in this article.